Guests will be immersed into the Star Wars story the moment they arrive! Disney officials released new details over the weekend about the Star Wars-themed hotel set for Disney’s Hollywood Studios at the Walt Disney World Resort. Each room is promised to have a view into “space” at the luxury hotel which the company says will be unlike anything that currently exists. 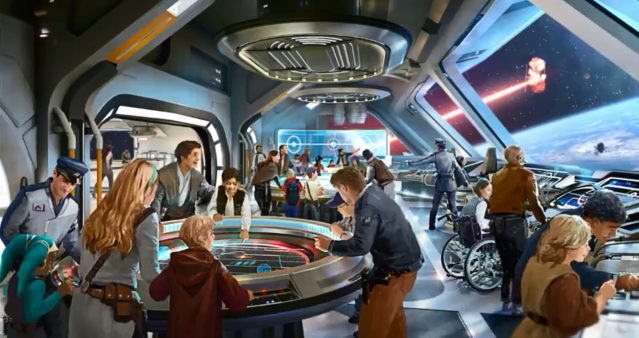 Guests will be immersed into the Star Wars story the moment they arrive, boarding a starship to depart on a multi-day adventure. Disney has not yet released an opening date for the hotel or Star Wars: Galaxy’s Edge.